Discussions Magazine Music Blog: An EXCLUSIVE Q&A with KELIS! An EXCLUSIVE Q&A with KELIS! In an industry that usually tends to plas it a little too safe sometimes, Kelis has always been a breath of fresh air. With a recording career that began back in 1999, Kelis is one of the few artists who has taken chances with her music and continually challenges herself while doing so. Best known in the U.S. for her 2003 hit “Milkshake,” Kelis has achieved success on a much larger scale internationally, especially in the UK, where she has hit the Top 10 an amazing 10+ times! Though she has been labeled an R&B artist here in her home country, Kelis is much more than that. Soul and R&B may be the foundations of her sound- however, her musical vision has no limitations. She’s not afraid to incorporate Pop, Rock, Jazz and other musical elements into her recordings. Kelis has consistently pushed the envelope and in doing so, her music is an ever-evolving hybrid that truly is unique. If all you know is “Milkshake,” then you’ve only experienced the tip of the iceberg. SPAZ: Food is just about ready to drop. How are you feeling about the lead up to this album and the reaction you’ve received to it so far? KELIS: I’m excited to release my album. It’s been 4 years since my last album so it’s definitely time. SPAZ: The album has a very deep-rooted retro vibe yet it still manages to sound fresh and vibrant. Was it difficult to balance where you were coming from, musically, and where you wanted the album to go? KELIS: The album was very organic and natural. The album title came from me just cooking in the kitchen. Food was the nourishment behind the album. So, we decided to leave the title as Food. SPAZ: As a whole, Food seems to usher in a whole new musical world for Kelis. On the album, you don’t turn your back on your past but you are most certainly moving forward as an artist. What inspires you to make this journey instead of just taking the easy route and recording “Milkshake” parts 2, 3, 4 and 5? KELIS: Life, love and being a mother are the main influences behind my album. Food is about those life experiences. SPAZ: “Jerk Ribs” is the first single, but the album is filled with some amazing – and often haunting – melodies. At this point, are there any personal standouts on the album that you are particularly proud of? KELIS: “Jerk Ribs” are a staple of mine and probably what I’m most well known for cooking. I’m really proud of the entire album and excited to share that with my fans. performances are far from one dimensional. The album feels powerful and anthemic at times. What kind of reaction are you hoping the listeners have while listening to the album? KELIS: I wouldn’t say the album is dark – it’s about life experiences. The ups and downs are a very natural part of life. I’m hoping that fans can relate to that. SPAZ: Did you go into the studio with finished ideas or was the album created organically? KELIS: The album was created organically. Dave played a huge part of giving me just enough space to figure out the ideas behind the music. KELIS: The first time I heard “Bless the Telephone” I was blown away by its dynamic simplicity. I fell in love and wanted to sing it out loud for this generation to fall in love with too. SPAZ: What was the inspiration for the album’s title and ultimate lyrical direction? Being a chef yourself, did you just combine your favorite hobbies? KELIS: The title Food was very natural. I enjoy cooking for friends and family. And while in the studio with Dave, there would be a ton of musician friends and everyone would be hungry. So, naturally I would just cook family style meals. A lot of my inspiration behind the album was just the process of making it. SPAZ: Your performances on the album are perhaps the most passionate you’ve ever recorded. Would you say that this is your most personal album to date? KELIS: No. I wear my feelings on my sleeve. I always have. It’s just another corner, or layer. SPAZ: You are generally labeled an “R&B” artist, yet you have never adhered to one style of music on your albums. Is it frustrating to be pigeonholed under one genre when you obviously are capable of moving beyond those restrictive boundaries? KELIS: I don’t mind. I don’t assume that the label is some mass assumption that I am somehow incapable of anything else. It’s how people relate and digest. SPAZ: You’ve been a recording artist for 15 years. How do you compare the recording of Food to the experience you had with your 1999 debut, Kaleidoscope? KELIS: I don’t really think about my different bodies off work in those terms. I’m the common denominator so for me, it’s just doing what it takes until I’m satisfied. SPAZ: The ‘album’ has recently been called a dying art form. Now that you are releasing proof to the contrary, what is your reaction to these statements by the skeptics? KELIS: LOL. Are these skeptics 15? SPAZ: What’s next for Kelis? KELIS: My Cooking Channel special just aired called Saucy & Sweet. I’m releasing my sauce line called Feast. Summer Festivals. Touring. SPAZ: What is currently spinning on your CD player? 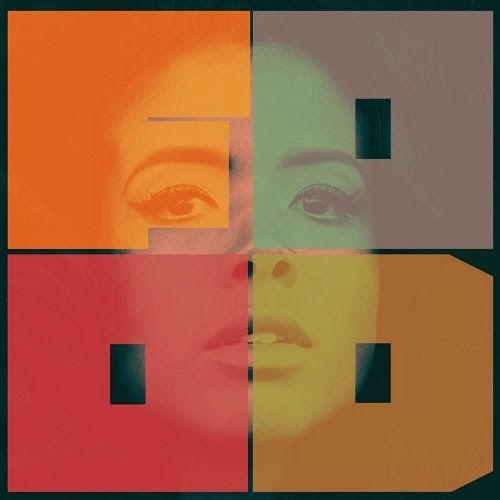 KELIS: I’ve been listening to a lot of Jamie Woon, Josef Salvat, and Bill Withers.